The day after Halloween was a rainy and cold Saturday. I spent the morning putting all of the Halloween decorations away and tidied the house. Then Joe pulled our one box of Thanksgiving decorations down from the attic. Once the few things were out, the mantel still felt bare, so I really felt the urge to make something to hang across the fireplace mirror. 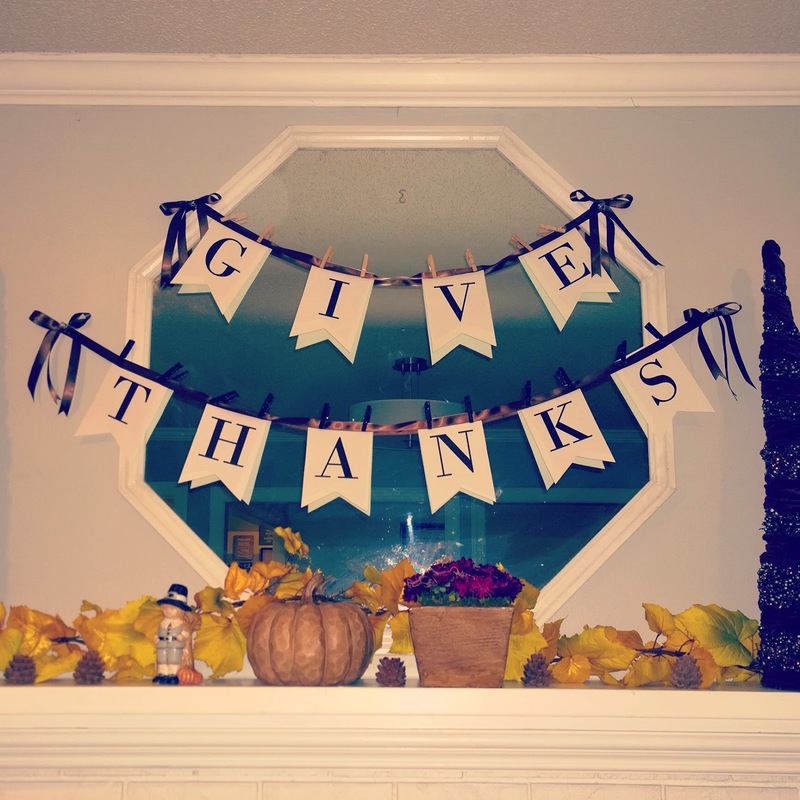 I got a cute idea from the website Everythingetsy to craft a Thanksgiving banner. It was pretty simple to print and cut out the letters "Give Thanks. The brown ribbon came from Michaels and I already had the little clothes pins on hand. My ceramic white acorns were a nice addition from last year and went well with the white background of the banner.